Are you looking for a floor stand for your Cartadis CPad, these custom built stands are ideal in that there is a hole for the stand to go underneath the MFD to offer exceptional balance / support. 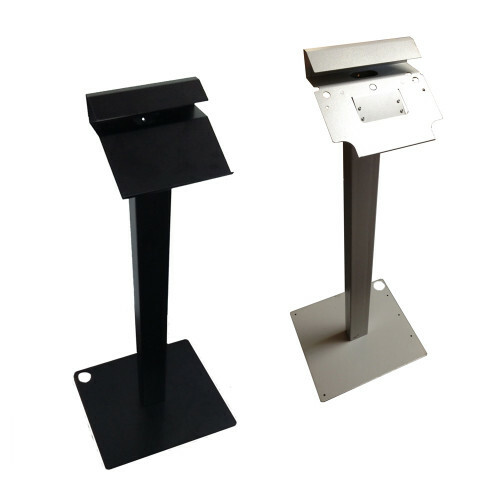 These are extremely robust stands made from powder coated steel and supplied with all fittings. Please note that the grey stands are no longer available, black will be supplied. These stands are supplied unassembled but with all fixings, they do require assembly upon receipt.